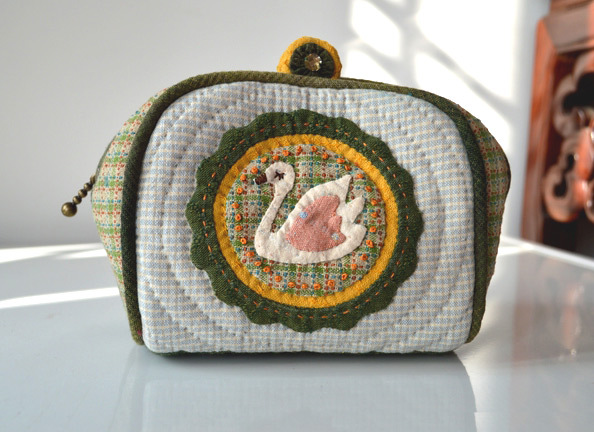 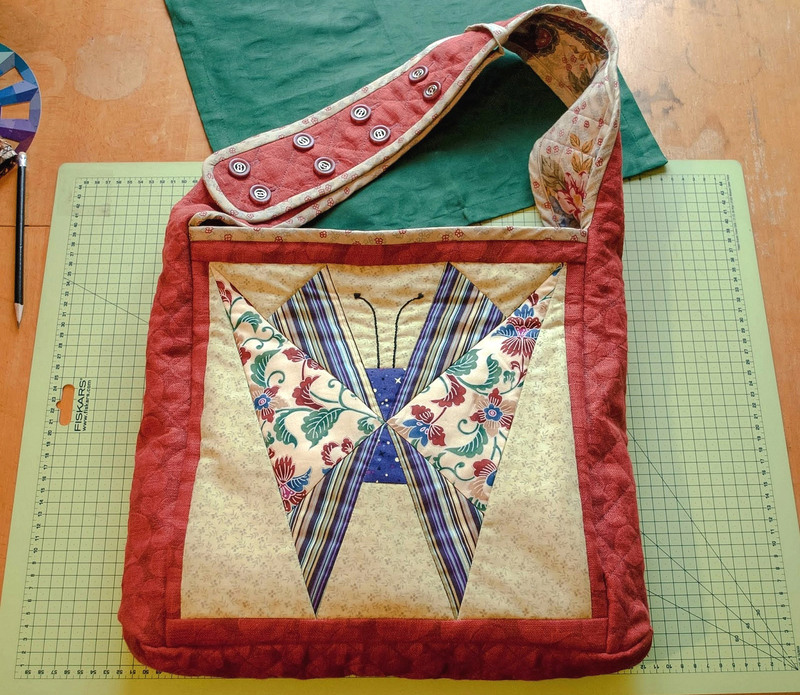 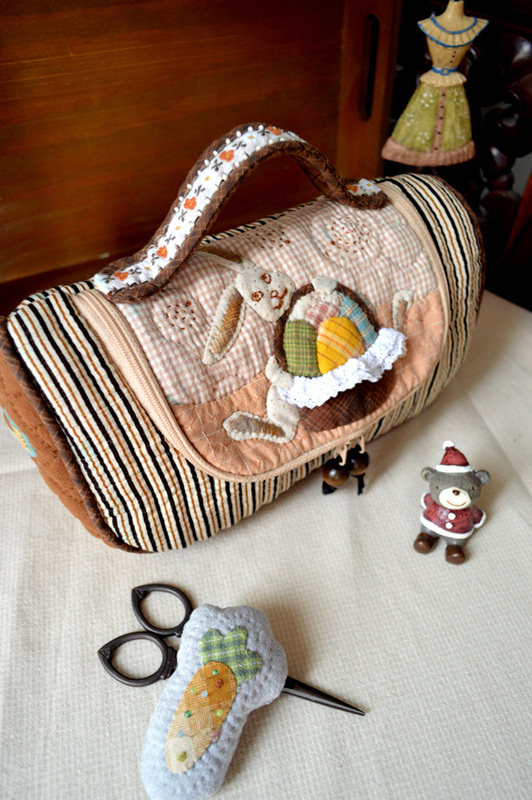 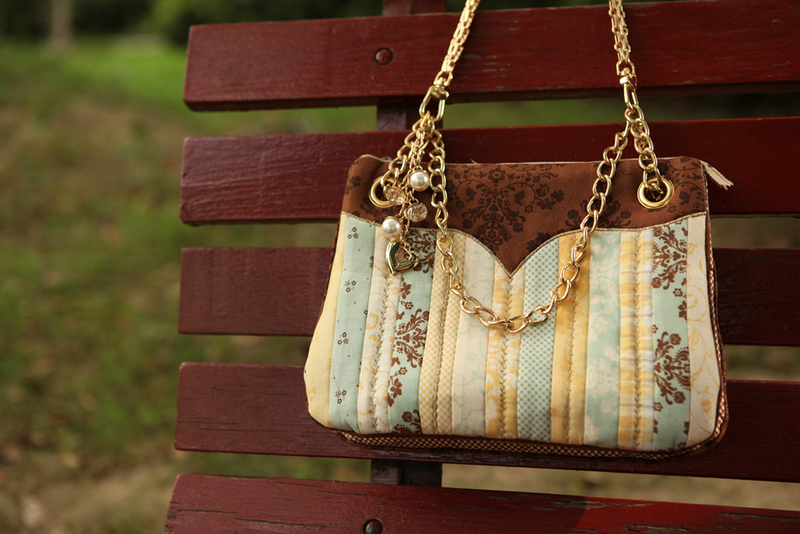 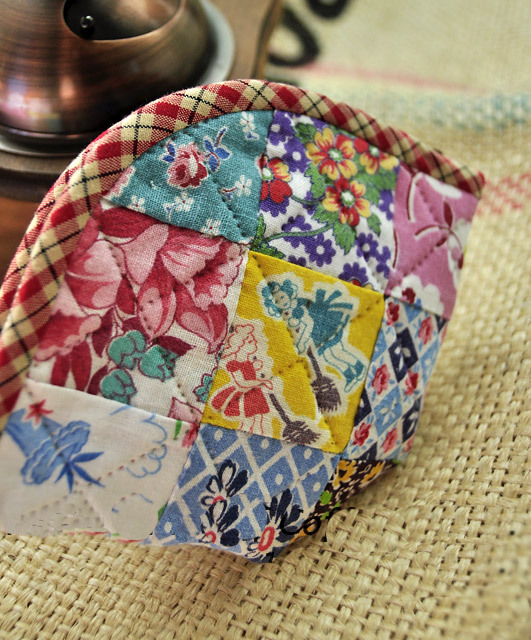 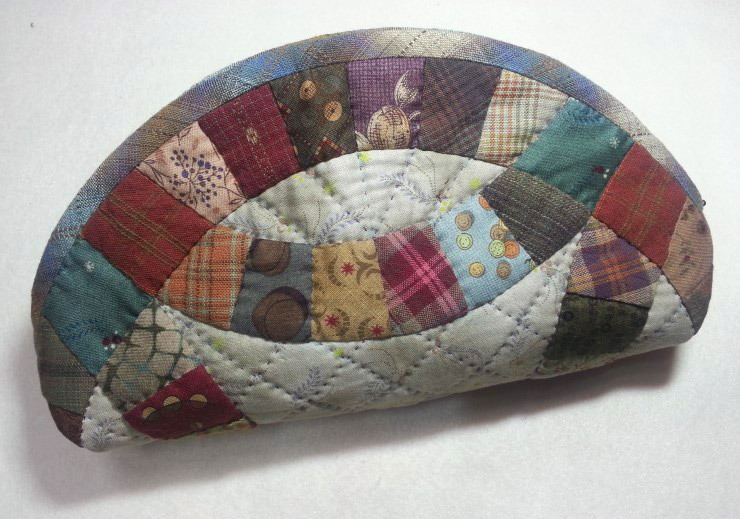 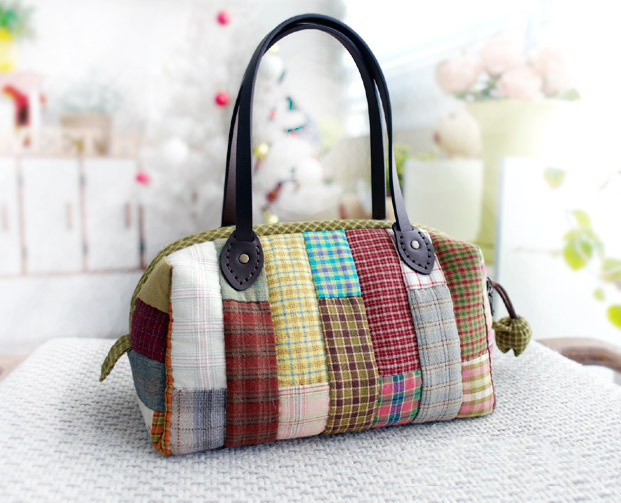 Patchwork Accessory Bag Case. 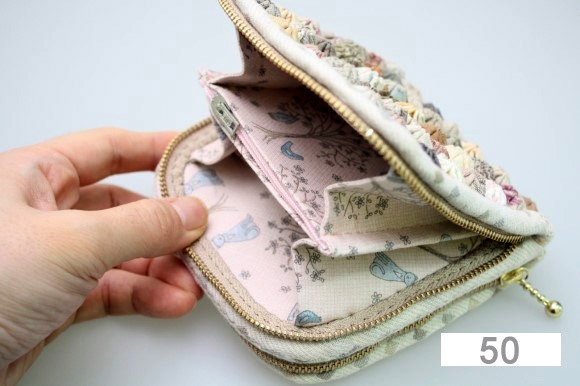 Tutorial DIY in Pictures. 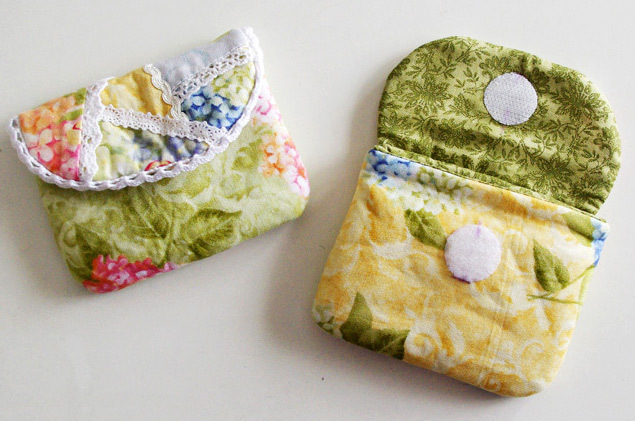 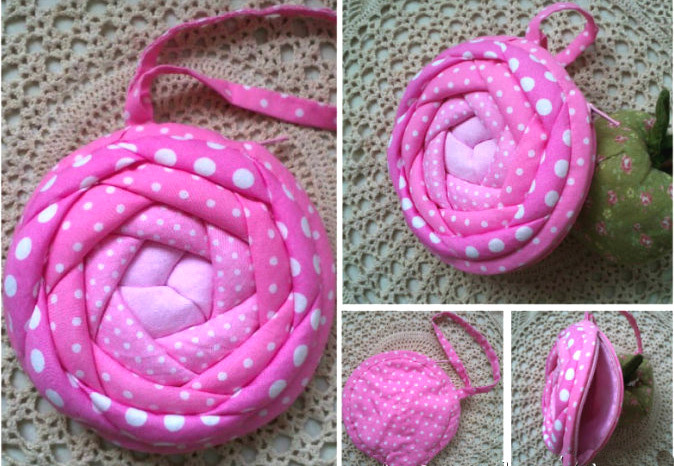 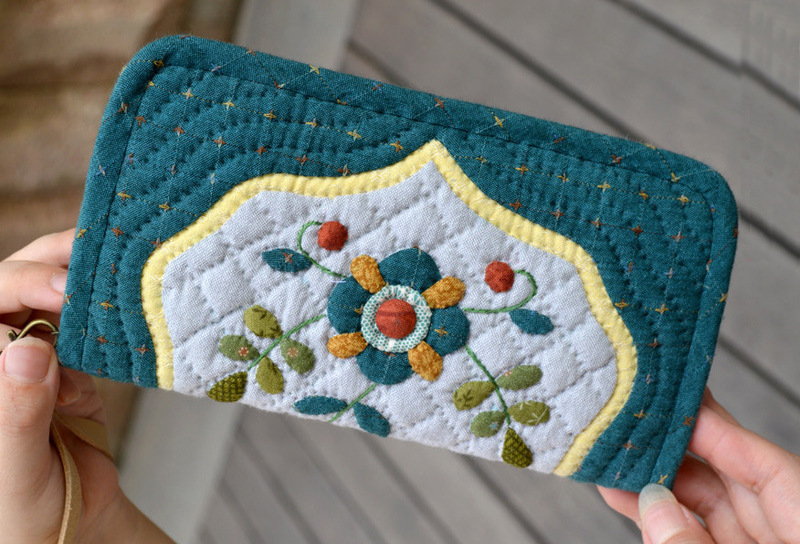 Cute Half-round Zipper Pouch Sewing Tutorial in Pictures. 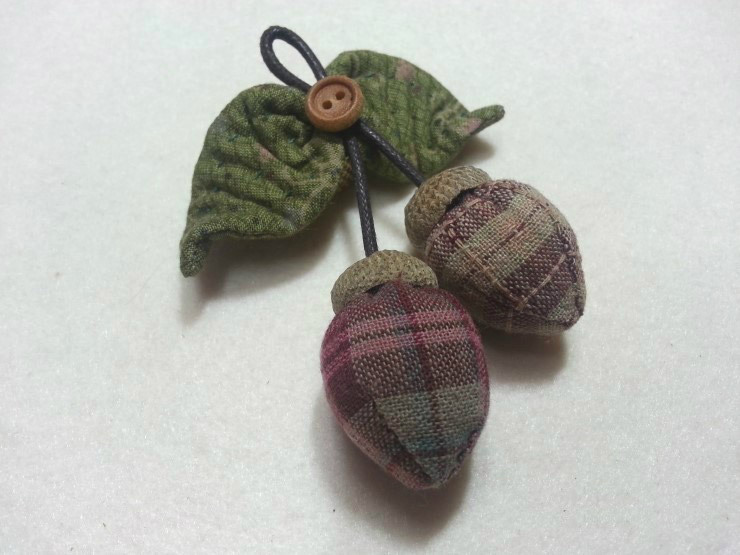 Miniature Patchwork Acorns, Safety pin charm brooch. 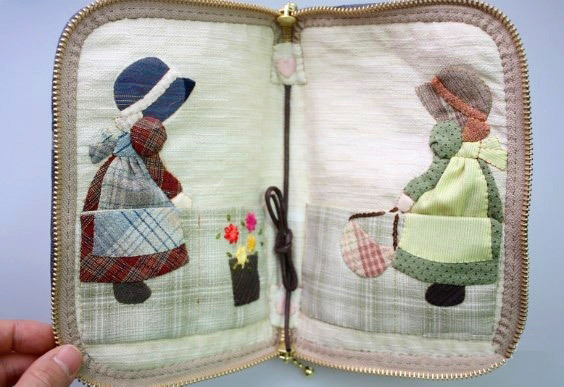 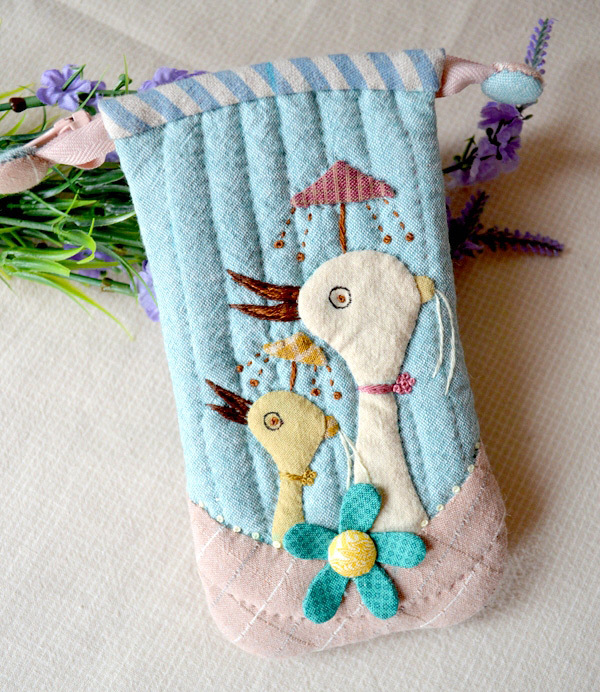 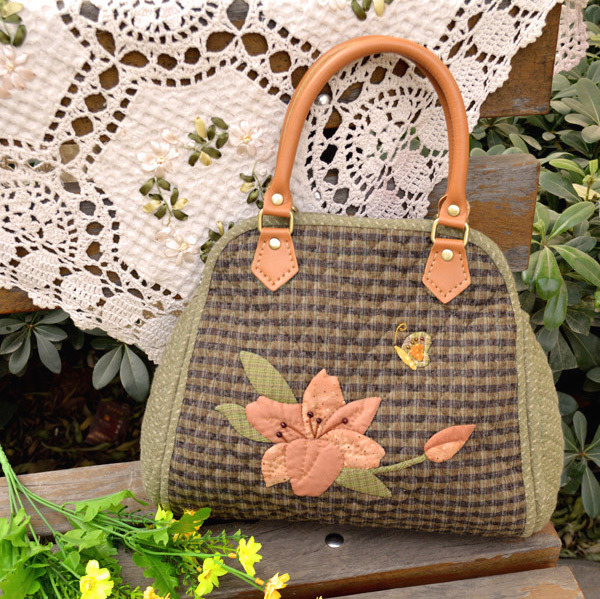 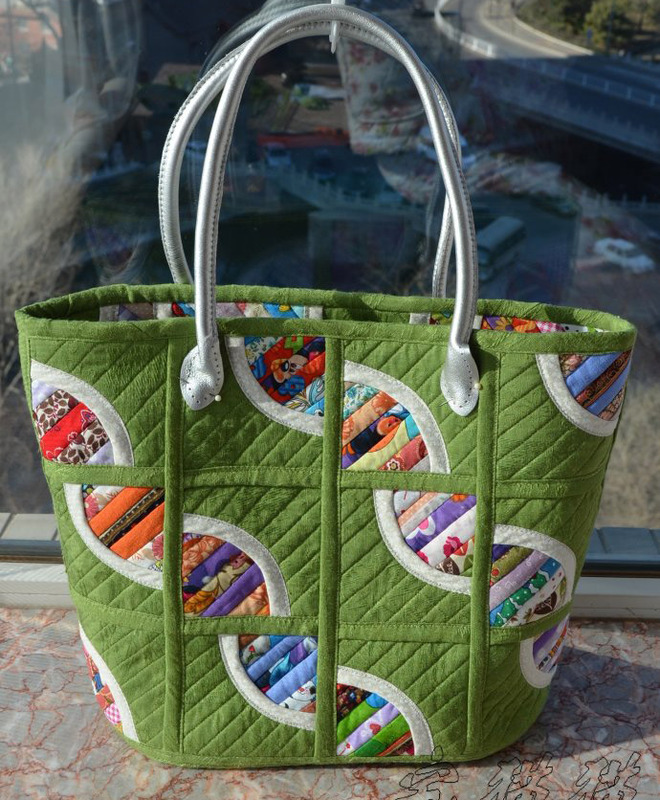 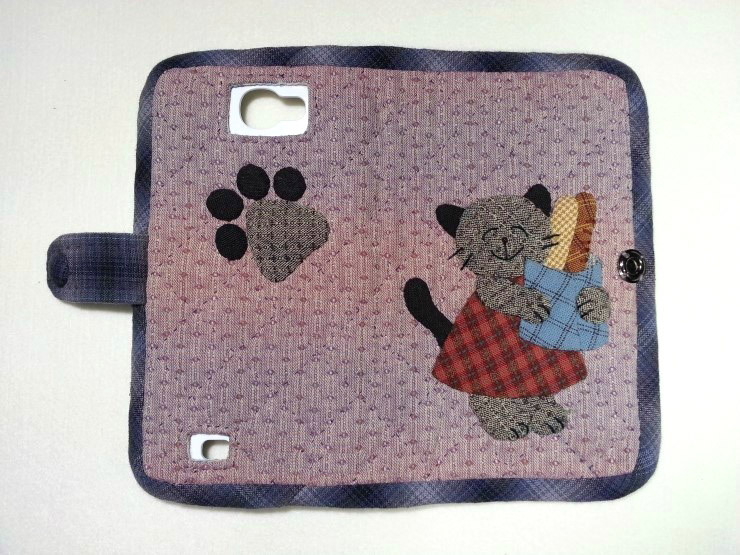 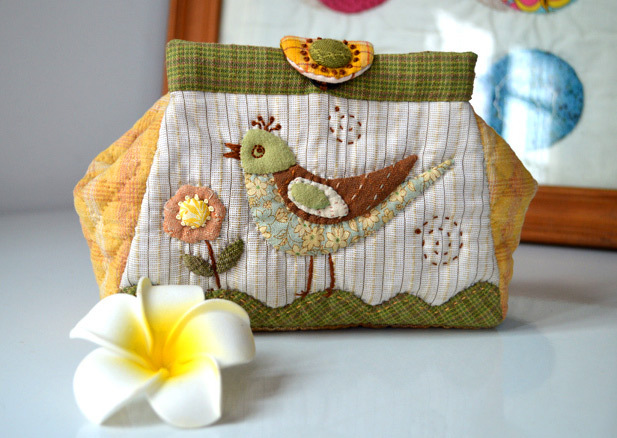 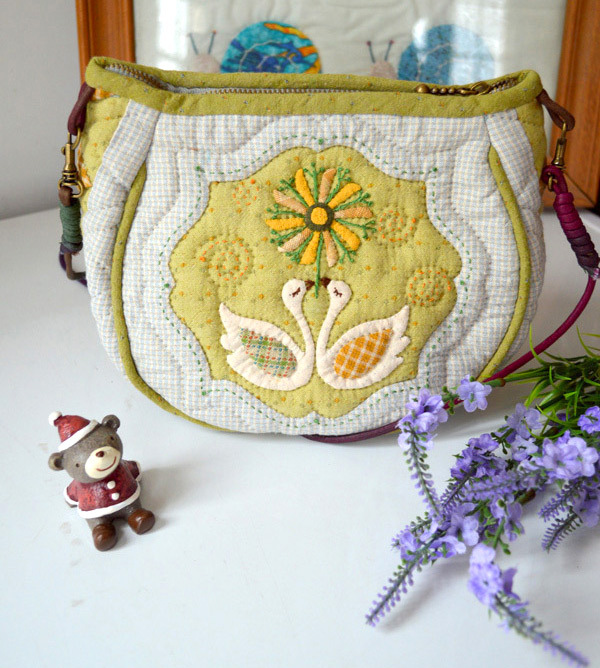 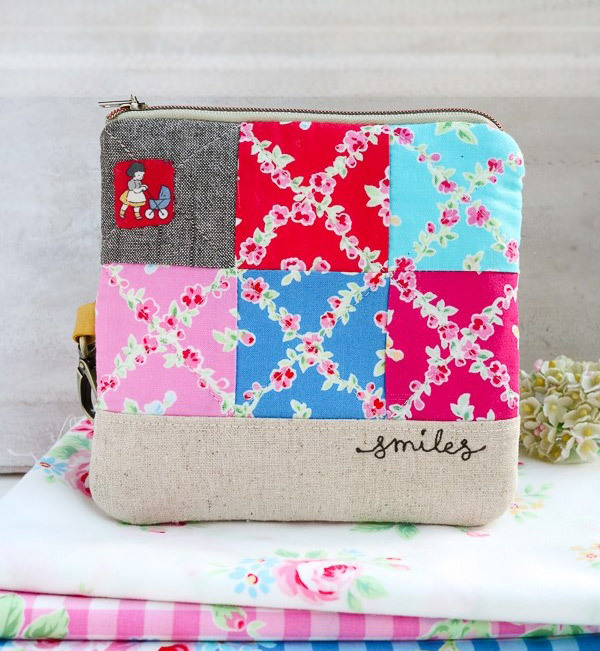 How to make tutorial mobile phone bag case purse fabric sewing quilting patchwork applique.